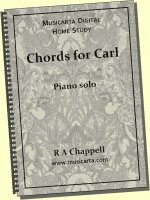 These melodies are derived from repeating contour patterns you may recognise, but the falling (second half) pattern is not a perfect mirror image of the rising (first) half, and the characteristic Scottish ‘lilt’ rhythm gives them a unique identity. The left hand chord tones and ë6 under the left hand in the last bar – the bass note is not a pentatonic scale tone but is dictated by the D minor key signature. 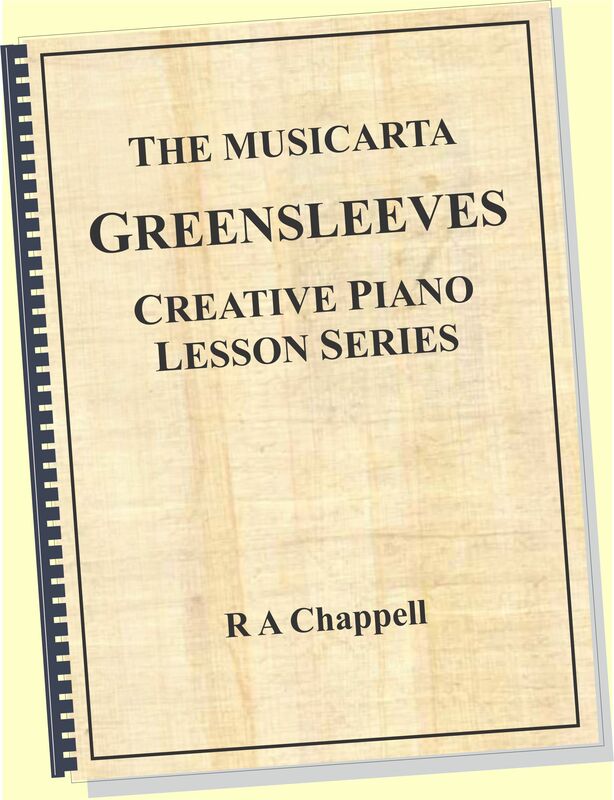 The notes are played in Scottish lilt rhythm but written as plain quavers for clarity. Here are two characteristics bars and the last bar as actually played. 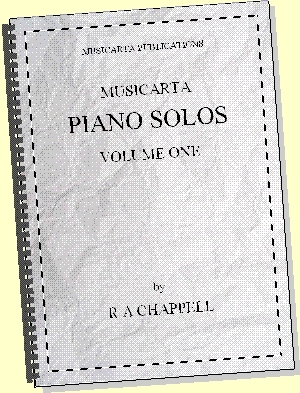 optional The characteristic right hand rhythm is short-long, long-short, long-short, short-long notes. The Scottish lilt dotted rhythm is sharper than the swing quaver ‘triplet feel’, and good exercise to stop your swing quaver feel getting too sloppy. The left hand also shows some potential development (as heard in the audio and shown above). 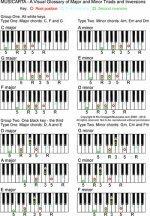 Cycle through the keys from D minor to Em, Fm, Gm, Am, Bm, Cm and back to D.
Only the first two bars of the melody are different. Use the music in your workbook for a more convenient view. By using repeat marks, the music can all be shown on one line, although the piece is exactly the same length and form as the first version. The left hand has a new bass line in bar four. 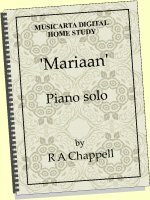 There is only minimal difference between the first and second versions, but keeping such differences clear in your mind is what makes a good ‘play-by-ear’ musician. Spell out to yourself what the difference is. 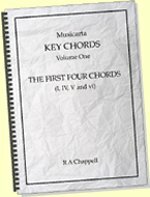 Write the shorthand step-skip/pentatonic scale-tone shorthand in your Workbook as necessary, then play the piece through the keys. 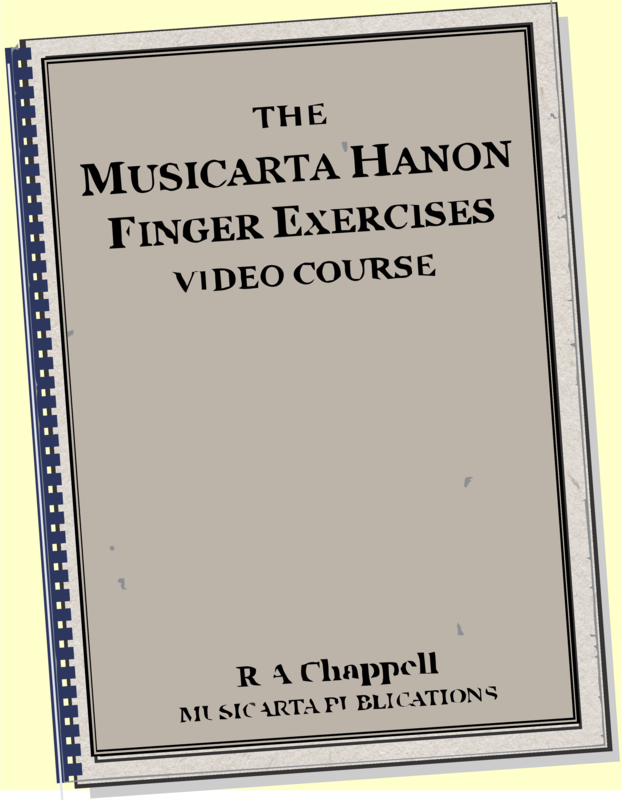 The on-page video shows D minor, Cm, Bm and Am. Make a combined version by playing the first version the first time and the second version on the repeat. The music you hear is often ‘assembled’ from parts like this. Notice how proficient you are becoming at identifying the pentatonic scale-tones. Only two tones out of the full minor scale are missing (second and sixth), so you are building a good aural (ear) appreciation of all minor melodies.